Today, LinkedIn announced its second annual Top Startups list, a global ranking of the 50 most sought-after startups where professionals want to work and stay. Puls is honored to make the list at #11. To be named alongside Lyft, Bird, and Coinbase as a global leader in attracting and retaining top talent is a testament to the incredible team behind Puls’ success, and the culture that our offices in San Francisco, Tel Aviv, San Diego, and nationwide technician community have built together. 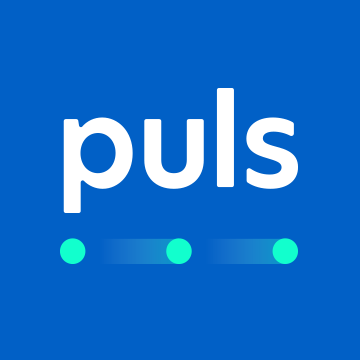 It’s been a busy few weeks at Puls, as the Top Startups win comes on the heels of our $50 million Series C funding round led by Temasek Holdings. This new investment will fuel our bold vision to transform the service industry, bringing seamless support to every device or appliance, from demo, purchase and delivery, through setup, repair and upgrade. We’re very proud of our progress and growth, and LinkedIn’s recognition is an important reminder of the drive and dedication that makes it possible. Celebrating organizations that change the way professionals work and live, the LinkedIn Top Startups ranking is based upon metrics including year-over-year employee growth, job seeker interest and applications, and employee engagement. With over 25,000 startups in the running, we are beyond pleased to accompany some of the world’s most innovative and iconic technology brands. Being named one of the top 50 startups in the United States affirms our bold vision to become the in-home technical support brand for anything with an ‘on’ switch. Interested in joining our team of innovators and out-of-the-box thinkers? We’re hiring! Check out our open positions.